The San Francisco Silent Film Festival special one-day “Silent Autumn” event opens Saturday morning, September 20, 2014, with a trio of classic Laurel & Hardy silent shorts, and features a 7:00 p.m. screening of Buster Keaton’s 1926 Civil War masterpiece The General, accompanied by the Alloy Orchestra. 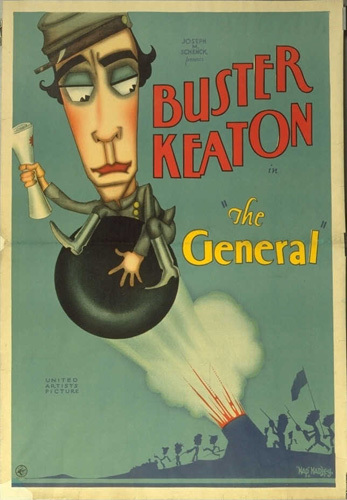 Keaton filmed The General nearly 90 years ago on location in Cottage Grove, Oregon. Not only do many locations that appear in the movie remain unchanged, but as explained in this brief video hosted by A.M.P.A.S., you can see that most of the filming took place within steps of the hotel where Keaton and crew stayed during production. Then and Now – 221 South 16th Street in Cottage Grove, Oregon, appears behind Buster during filming. The Silent Autumn festival also includes Rudolph Valentino in The Son of the Sheik, a typical cinema program from 1914, the year Charlie Chaplin began making movies, and the influential German horror film The Cabinet of Dr. Caligari. You can read more about how Keaton filmed The General and his other classic comedies in my book Silent Echoes. The General is available on Blu-ray from Kino International, and includes a bonus program that I prepared. Below, a Google Street View of the above filming site. 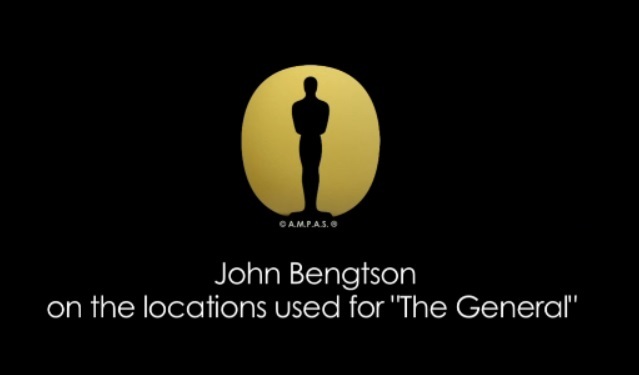 This entry was posted in Buster Keaton, The General and tagged Buster Keaton, Cottage Grove, San Francisco Silent Film Festival, Silent Comedians, Silent Comedies, Silent Movie Locations, Silent Movies, The General, then and now. Bookmark the permalink. Excellent, John. I always wondered where they had filmed that movie. In particular, the spectacular battle scene. In fact, that battle was about as close as you could get to a real one as put on film. Keaton had two technical advisors who were veterans of the War Between the States; one from each side! The confusion and madness was stark and accurate.